Before the mid 1990s if you wanted to gamble you would have to visit a land based casino. Nowadays thanks to the advent of the internet you can gamble anytime you want from the comfort of your own home. In recent years the online gambling industry has exploded as literally hundreds of new online casinos have popped up. More and more people are being converted to online casinos thanks to it convenience and ease. What makes online casinos so popular is the fact that you don’t have to leave your house, instead all you need is a computer and an internet connection. They are also open 24/7 so you don’t have to wait on the casino opening instead you can play at your convenience. What’s more, a lot of casinos are only found in large cities and towns so for a lot of people it would mean a long journey just to get to the casino. The atmosphere of online casinos is also far more relaxed. There is no dress code to worry about, or other distractions to put you off your game. In land based casinos there is usually loud music playing and the noises of people, not to mention the machines themselves. Instead in your own home you can do so in an environment that is comfortable for your needs and means you can truly concentrate on your game. In land based casino you are encouraged to drink to get you to wager more, whereas at home you can just sit and have a cup of tea if you want. 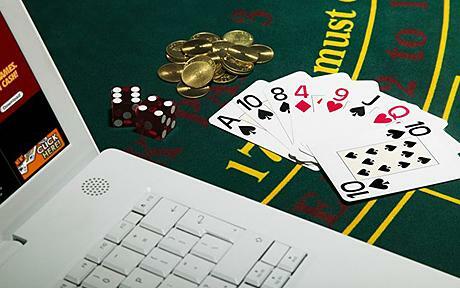 While it may seem quite lonely, online casinos are actually quite social places as most good casinos have online forums and chat rooms which allow you to interact with other players. Online casinos also often offer new players bonuses so you can get a chance to maximise your stake. However, it should be noted that you should only bet what you can afford to loose as you can loose just as easily in an online casino as a land based one.